Opioid medications are at once a godsend and a risk. For short-term pain relief, they can be irreplaceable. For long-term pain, their role is much more problematic. Medications such as codeine, hydrocodone, oxycodone, hydromorphone, and tramadol are members of the opioid class, also called narcotics. They act on mu receptors in our nervous system and reduce the perception of pain. Opioids also can dull consciousness, cause severe constipation, and reduce respiration to the point of death (hence, narcosis). A person can get tolerant of their effects so that progressively higher doses are needed for the same effect. Most important, you can become addicted to opioids. Addiction means that you crave the medication, suffer withdrawal symptoms (sweating, nausea, cramps and even seizures) if you abstain, and may show destructive drug-seeking behavior. Our responsibility as your physicians is to help control pain by treating the cause and by mitigating the symptom itself. Many different techniques of pain control are available and might be appropriate. These include application of ice and heat for an injury, immobilization by splints and casts, use of common and generally safe analgesics such as aspirin and acetaminophen, and sometimes more potent non-steroid analgesics such as OTC ibuprofen (Advil), naproxen (Aleve) and stronger prescription NSAIDs such as diclofenac, celecoxib, indomethacin and others. The causes of chronic pain are highly varied and usually complex. Severe chronic inoperable orthopedic issues, such as lower spine disease, chronic migraine headaches, nerve injuries, and metastatic cancer are just a few of the situations where human beings may suffer pain of indefinite duration and where opioid medications may be considered when all other measures have failed. The other measures might be physical therapy, various injections, mind-body techniques and counseling, non-narcotic medications that may help pain such as gabapentin, and others. Because of the crisis in overdose deaths from narcotics, both legal and illegal, that came to public awareness about three years ago, Massachusetts (and other states) developed programs to monitor the legitimate prescribing of opioids to patients as part of a comprehensive plan to control the crisis. Components of the program included more careful (but reasonable) restrictions on the prescribing of short-term opioids by physicians; a more formal prescription monitoring program (PMP) that includes a registry of all narcotics prescriptions issued to each person in the Commonwealth (Mass Prescription Awareness Program or MassPAT) that physicians can and should check essentially every time a new narcotic prescription is written; and strong suggestions to be more structured with patients getting chronic opioids for therapy, by such tools as an opioid contract and occasional urine drug screening. So what do we do now? 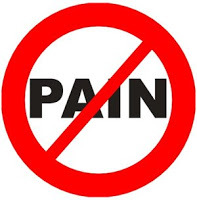 On occasion, acute pain may require narcotic strength pain control. In this case, we will prescribe you the lowest potency opioid we believe will keep you adequately comfortable, for the shortest period we think you will need it. Narcotic prescriptions must be individually signed and given to the patient, and no refills are allowed. No more than a one-week supply may be given. We keep in close touch with you to monitor the effectiveness of the narcotic provided. We check the MassPAT registry for everyone before we write the narcotic prescription. If the painful condition appears to extend for more than a week where further narcotics are warranted, you will be asked to return to the office for brief reevaluation. This in fact is good patient care, since most acutely painful injuries or medical situations are subsiding to Advil or aspirin level by one week. When opioids are required for chronic pain management, we give them and monitor carefully for benefit and adverse effects. Prescriptions are for no more than a month, and the patient is generally seen monthly for appropriate discussion and evaluation. In certain well-established cases where opioids are successfully treating chronic pain, the visit interval may be less frequent. What will be added in the near future, for each such patient, will be, first, an opioid contract. That is a written agreement that describes the purpose of using the narcotics, requirements that the prescription be handled carefully, always at one pharmacy, that all pills be accounted for and taken as directed, and so forth. The contract underscores the seriousness of this particular chronic therapy and the importance of safeguarding the physical medicine itself from diversion or access by others. The second addition will be a request for an urine screen for drugs (opioids and others) that will be done at least once a year. The opioid contract includes a provision for such random testing. The testing is critical to detect unknown additional drugs that may add substantial risk to the patient, as well as to confirm that the opioid is in fact being used. Life is complex, and urine tests have provided many unexpected results among a wide variety of physicians and patients. Other nonopioid drugs, such as sleeping pills and sedatives like Ativan, have a related but different set of concerns. I will discuss our approach to using and monitoring those drugs in a different post.